Do you have ANY IDEA how fun is to be at a real FESTA JUNINA?? I guess you don't if you are from LA, but if you are from Brazil, you must know what I'm talking about. It's awesome! !So, we would like to INVITE ALL OF YOU Brazilian and non Brazilian to join us to celebrate this amazing FESTIVAL!! It will be FUN, FUN AND FUN. Lots of LIVE entertainment! 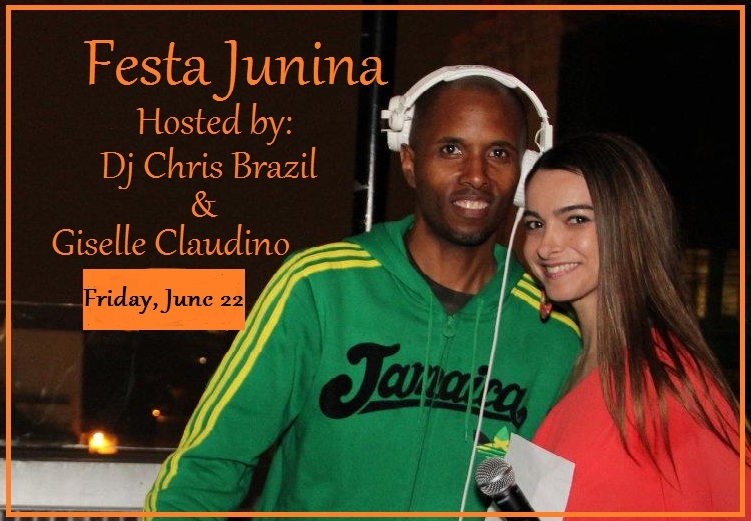 It's your chance to learn the FESTA JUNINA - SAO JOAO main dance, FORRO'!! Save the date : This Friday, June 22nd! Two more days!!! I will be hosting the party along with the favorite's Brazilian Dj Chris Brazil, which by the way will be spinning at my Hawaiian Birthday Themed B-day Celebration Sunday. Honestly, CHRIS ROCK!! So, FRIDAY, you can NOT miss our FESTA JUNINA along with our many attractions through the night!! Invite all your friends and share the fascinating Brazilian culture! CHEERS! Ola!! Vi só hj o seu blog, infelizmente perdi a festa junina ontem.... Foi o ultimo dia? Estava louca atras de um forró em LA! !